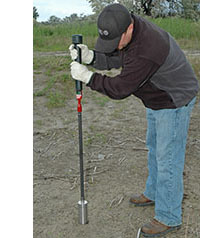 Soil sampling is performed for a number of reasons. These include determination of soil contamination, identifying the horizontal and vertical extent of contamination and investigating the relationship between soil and ground water contamination. 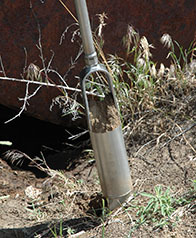 Soil can be sampled at the surface or below surface depending on the type of information required. Soil is typically divided by depth into two categories: surface and subsurface. Surface soils include the zone between ground level and 24 inches. Subsurface soils include any depth below 24 inches (please note that for radiological sampling, surface soils are considered to be in the top 6 inches, or 15 centimeters only). 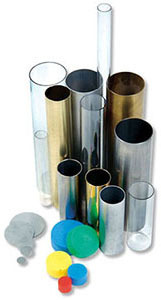 There are several different types of samplers that can be used to collect a soil sample at any depth. 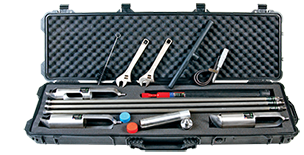 Soil sampling kits are designed to provide all the items needed for sampling in convenient carrying cases. Used by soil scientists, agronomists, and construction companies for site investigations. Available in different auger sizes and connections. Clear liners for environmental soil sampling requirements. Designed with safety in mind, the Zipliner Soil Sampling Sleeves are easy-to-open liners for use with direct push soil sampling equipment.